Tooth decay, periodontal disease, and accidental trauma rob many adults of their natural teeth. Losing one or more teeth can have devastating effects on your self-esteem. Dental implants restore not only your appearance but the functionality of your missing teeth. Here are a few essential facts about the dental implants procedure. What Does a Dental Implant Do? Dental implants replace the roots of teeth that you lost. Endosteal and subperiosteal are the two most common implant types used in dental implant surgery. Endosteal dental implants go directly into your jawbone where your tooth root was originally located. Subperiosteal dental implants, which are usually reserved for people whose jawbones can’t support internal dental implants, rest on top of the bone but under the gums. Endosteal dental implants consist of a screw-like metal anchor, an attachment piece called an abutment, and a natural-looking artificial crown. No two patients are the same. Your total dental implants cost will depend on a variety of factors including the following. 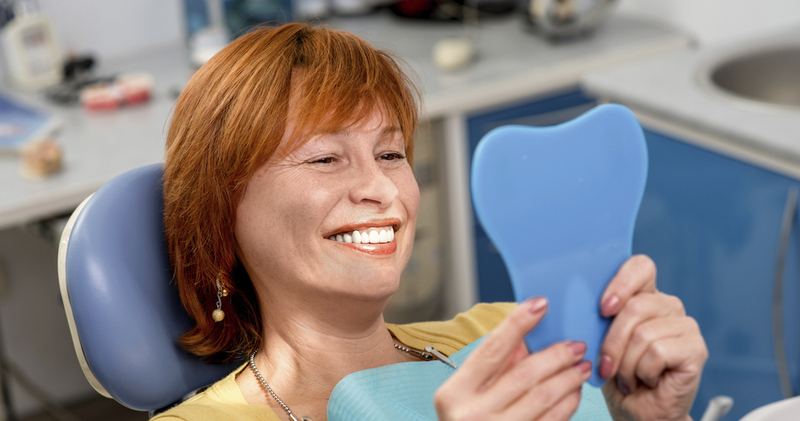 In order to determine your final cost of getting dental implants in Owings Mills, you’ll need to consult a skilled and experienced dentist or oral surgeon. To get started on your quest to find affordable dental implants, contact our office to schedule an evaluation. Most dental plans don’t cover elective treatments like the dental implants procedure. However, you may have partial dental implants insurance coverage for your new crowns. Check with your provider to determine the limits of your coverage. If your insurance plan doesn’t offer any assistance with your dental implants cost, contact our office for information about low-interest finance options. We’ll be happy to help you work affordable dental implants into your budget. The cost of dental implants with insurance shouldn’t stop you from obtaining a healthy smile. The dental implants procedure is lengthy and complex, and it involves several steps with recovery periods between them. To help you better understand the process of dental implants, here are the basic steps involved. Preparing your mouth for surgery is the first step. If needed, your dentist may perform a jawbone graft before proceeding. Next, your dentist will drill holes into your jawbone and position the dental implants inside your jaw. 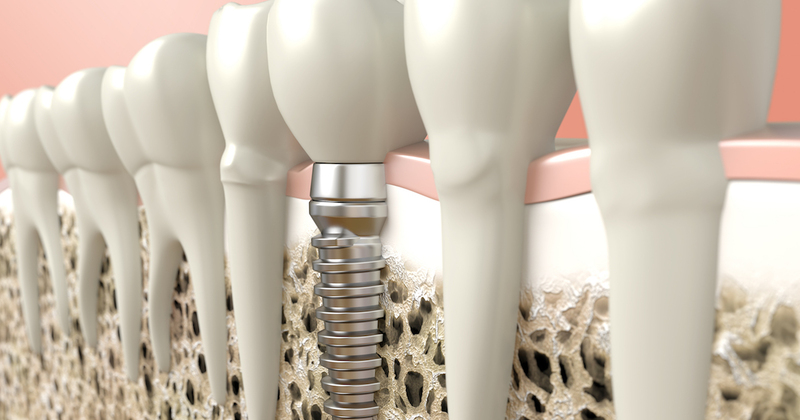 A healing period of up to six months is required for the dental implants to fuse and integrate with the surrounding bone tissues before the next step. After integration, your dentist may place small connecting elements called abutments and temporary crowns onto the implants. In the final stage, temporary crowns are replaced with permanent ones. As a dental implants recipient, you’ll enjoy all of the following long-term dental implants benefits. Durable, beautiful, and affordable dental implants are made to last for many years. Although the location of dental implants in your mouth and your general dental health and hygiene are contributing factors to implant longevity, you can expect years or decades of great performance. Exactly how long does a dental implant last? Some people with dental implants will enjoy a full lifetime of healthy smiles. How long dental implants last is a matter of maintaining healthy behaviors. Immediately following your surgery, you may experience minor pain and soreness. In most cases, over-the-counter medications such as acetaminophen will provide rapid relief for dental implant procedure pain. If you experience severe or continued pain, contact your dentist for advice. Once your mouth is fully recovered, take care of your dental implants by simply treating them like natural teeth. Pay special attention to oral hygiene quality, and use any products such as antibacterial mouth rinses that your dentist recommends. Schedule regular dental exams to keep your dental implants and your overall oral health in top shape. Are you considering a restorative procedure and are someone who needs dental implants? Most people who want to get dental implants and have healthy bone density are viable candidates, but only a dental professional can make the final call. Our experienced dental providers can confirm your eligibility for getting dental implants in Owings Mills. Schedule a consultation today, and learn how we can help you regain your beautiful smile.